Architectured materials offer a great potential of performance for various applications, but they have to be tailored to fulfil each set of requirements. Designing an architectured material implies determining all its attributes: components, architecture, volume fractions, interfaces…Numerous methods have been developed for product design or for single material selection, but few deal with architectured materials. 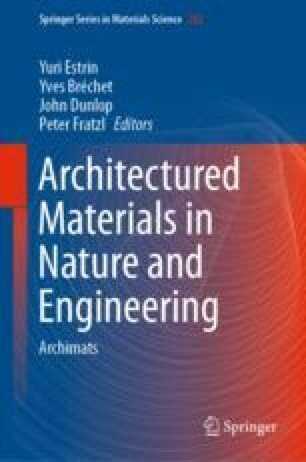 Because of the difficulty to determine all the parameters at the same time, studies have been carried out about specific tasks in architecture materials design. In this chapter, after having presented material selection methods and design or creativity methods that can be useful in this context, some results are detailed about methods for analysing the set of requirements, identify some incompatibilities between the functions, and select the components in the case where the architecture is defined.